Author Bio: My name is Ken Lindsey, and I am now 30 years old. I have been writing for as long as I can remember, and will continue to write until there are no white pages left for me. I write for myself, it's a release-a breath, and I write for my children. I want them to know that there are other worlds out there, worlds with real heroes, and worlds made up of whatever colors they can imagine. My Big Girl, my Princess, my Baby Girl, and my Baby Boy- they make my world so much bigger. 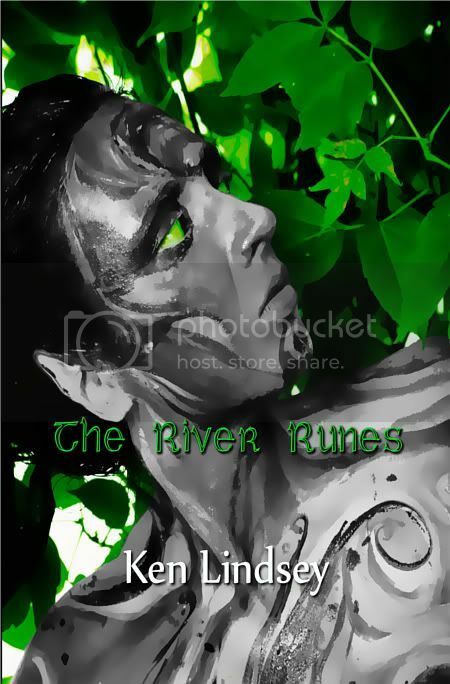 Recently I published the 2nd edition of my first novel, The River Runes, with a new cover and quite a few edits that I am very excited about. I have also started working on my second, Clockwork Charlie. It's a new venture for me, and I'm stepping out of my comfort zone on this one. In the times between, I write short stories, and even dabble in some poetry. If there's anything else you'd like to know, feel free to ask. I searched the web and read a thousand articles and blogs before I made my decision. It wasn't easy, but once I chose, I was happy with my choice. Other than half a dozen hasty query letters I sent out the very second I finished my first draft, (before I had read anything about the publishing world) I haven't done anything to reach a publisher. I have no problems with traditional publishing and I may go that route with some of my novels in the next few years, but for now I love being indie. Another reason for me to self publish is the challenge. I love to be challenged. Not only do I have to write the words, I also have to make sure the book is edited and formatted and worth reading. Cover art, marketing, how much to charge... it's all up to me to decide how it gets done. That's why I'm doing this blog tour! I'm still learning and testing the waters in order to find the best ways to reach readers. There are bumps in the road, for sure. Being self published means there is no advance, no editor, and in my case, no agent to help get your work out there. If an indie wants their book in stores, they have to find the stores that are willing and jump through the hoops to get their titles there. Those are all just pieces of the self publishing package, though. We are living in a future where an author can write their book, the way they want it written, and publish it in whatever formats they choose. The eBook has shaken up the publishing world, and I wanted to get in on the chaos before it was too late. Jonathan is a young man, on the cusp of taking his Master's place as magician of Third Chapel. Things are better than he ever expected; he's becoming closer to his father, he is in the midst of a blossoming romance, and his magical abilities are growing every day. It was an odd collection, Bixby thought, looking at the remains of the human bodies that lay on the ground near his tree. There were four in all, each a bit older than the last. Each was giving up the remnants of life more quickly than its neighbor. The air stunk with the scent of them, and it was hard indeed to stop the other predators from inviting themselves to a feast. While he looked on, Bixby understood why most faerie thought so little of the humans. It disappointed him to see how their fragile bodies broke under the attack of his magic. Before he took the first, Bixby readied himself for a fight, expecting the humans to be aggressive and powerful. ’s vision, he fell to his knees in fear, crying out for help. When Bixby came close enough to touch, the man wrapped his arms around Bixby’s legs and begged for mercy. The faerie had been so frustrated that instead of choking the life out of the man, as he had intended when he wrapped his long white fingers around the human’s fleshy throat, he broke his neck and tore most of the flesh on one side. Bixby grimaced, remembering the awful noise the man’s bones made that day. Not awful for the sound, but for the ease of it. Awful because Bixby expected more from them. He expected these humans' bodies, thick and assuming as they were, to be strong. It disgusted him to see how they just rotted away, not turning to ash, or stone, or water… just rotting. And stinking. And that’s just what they did. The bodies were far too large for him to consume on his own, though every time he tried, a rush of memories and life hit him as nothing ever had. For days after collecting each body, Bixby gained unimaginable energy and the memories of a short life, filled to the brim with activities and emotions. The humans were physically weak, but mentally strong, and passion drove every aspect of their lives. They were weak, though. Not only did they die when their fragile bodies gave up to time, they were also susceptible to illness and disease carried by the air, or even carried by another human. Bixby hadn’t given up hope, though. He used those corpses to learn what he could about the humans, and then it was on to the city. He needed to go to the magicians. Yes, the magicians were the key. He needed the human magic to convince the others, not their bodies. However, it was a carnivorous thing, the smell of those corpses. The acrid scent and copper taste of the blood clung to his senses. Bixby smiled and started to climb the tree by which the bodies sat. Sunrise was here, and it was time for the city wake up. 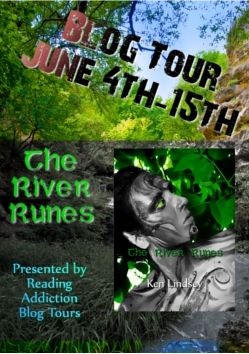 What do you think of The River Runes? Think it sounds good?? What do you think of the Guest Post and Indie publishing? 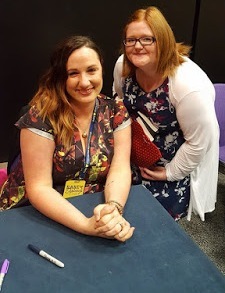 Thanks so much for being a host for my blog tour! You rock. If you or your readers visit my blog this week, you can enter for a chance to win a $50 Amazon Gift Card!